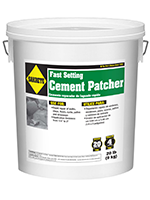 A fast setting patch material for concrete repairs from 1/4 inch to 2 inches. Sets in 20 minutes. 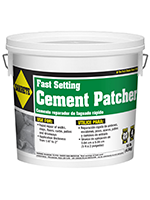 Apply in thicknesses from 1/4 inch to 2 inches. 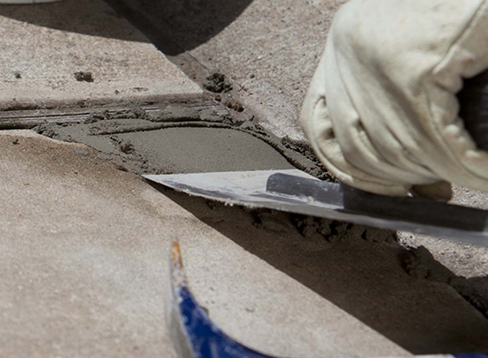 For rapid repairs of concrete steps, walks, drives and patios. Material can be molded, shaped or formed during its initial setting phase.